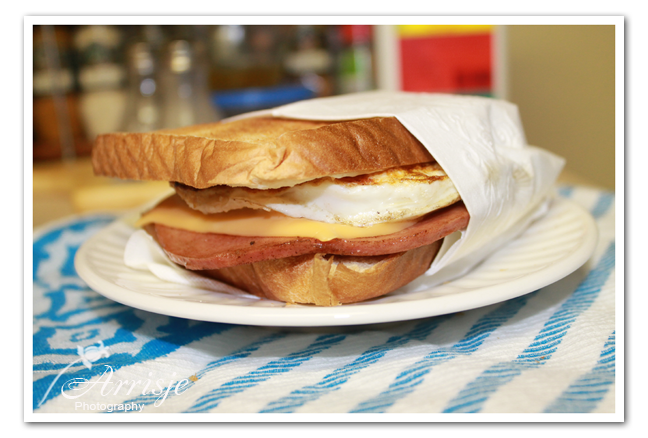 Fried Egg Bologna Sandwich. It’s a typical Southern sandwich. Also called a poor man’s steak sandwich. It’s very easy to make, and delicious. For this sandwich I use the cast iron skillet. Turn the stove on and put a small amount of grease in the skillet. Add the bologna and brown on one side. You will see a bubble in the middle cut that with a knife. Now add the egg to the skillet, when both are done turn the bologna and the egg over, and fry the bologna and egg. Spread the mayo on the bread. 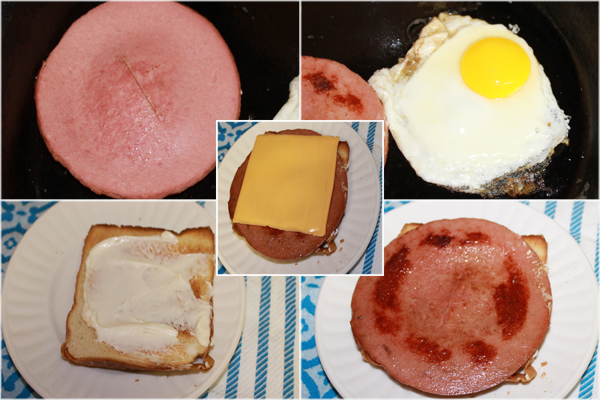 Add the fried bologna, then the cheese and last the fried egg. Top off with the other slice of toasted bread with mayo. And enjoy this simple sandwich from the South.